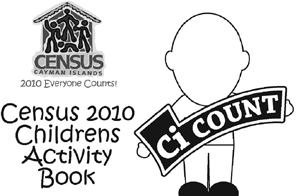 The Population and Housing Census (PHC) for the Cayman Islands will start on October 10, 2010. The PHC will be conducted by the Economics and Statistics Office (ESO) through 263 enumerators who will be deployed to about 274 enumeration areas in all districts. The Census will run through November 2010. Approval for the conduct of the PHS was officially announced on 26 March 2008. Since then, preparation by the ESO was supported by the Census Advisory Committee and its sub-Committees. The United Nations recommends all countries to carry out a population and housing census every tenth year and the 2010 round of censuses should be carried out during the period 2005-2014. Earlier population censuses in Cayman Islands have been conducted in 1802, 1891, 1911, 1921, 1934, 1943, 1960, 1970, 1979, 1989 and 1999 (10 October). For queries, complaints or assistance, please come and visit us or call. Opening Hours: Weekdays and Saturdays: 8:30 a.m. – 8 p.m.
1) Are we required to give our names to Census workers? 2) Should we also give our phone numbers? 3) Will our individual data such as health data be given out? 4) Why do Census Workers need to come to houses for interviews, why not do the interviews on-line or mail the questionnaire? 5) How can we be assured that Census workers will keep our data confidentially? 6) Do we need to answer all questions?